Blurb: When his snobbish future in-laws travel all the way from Boston to visit, wise-cracking Southerner Wiley Cantrell learns that gay marriage is not without its disadvantages. Occupied by concerns over the health of his special needs son Noah, a meth baby who was not expected to live and who is now on the cusp of puberty, the antics of Wiley’s outrageous would-be mother-in-law and severely conservative father-in-law strain his relationship with Jackson Ledbetter, a pediatric nurse who poses problems of his own. As their respective families meet and greet, each just as meddlesome and inflexible as the other, North meets South and the fireworks and cultural misunderstandings are plenty. A tornado blows through the small Mississippi town where Wiley’s mother lives, wrecking his mother’s house and leaving their lives in disarray. Then Jackson’s secret drug addiction comes to light, and Wiley and Noah are devastated. 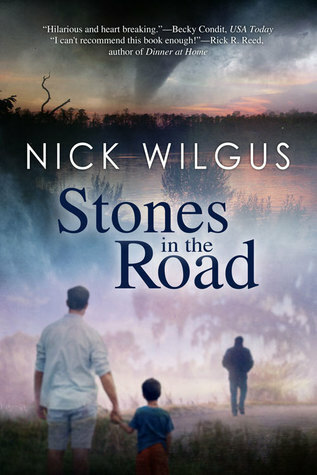 With so many stones in the road, Wiley and Jackson find their dream of becoming a real family falling apart. Though Wiley relies on humor to cope, he’ll need something more to keep his happily ever after from slipping away.